My previous post included links to a couple of blog posts by ElshaHawk, friend and regular commenter in these parts. Which reminds me of something I’ve always intended to blog about. I met Elsha through the story-writing website ficly.com, where she is a frequent participant. I’ve published a few stories there too, but not for a while, and my friendship with Elsha is the main lasting thing I got out of it. That said, it was a lot of fun, and I’d go back if there were more hours in a day. Ficly is a website where people write stories of no more than 1000 characters, and then write prequels and sequels to other people’s stories. There are also challenges – where people create their own story-writing competitions for other people to enter – and various other features I won’t list here. Below are three examples of stories from ficly.com, each consisting of an episode written by someone else and a sequel written by me. If you want to, you can decide what happens next. The Australian Skeptics have recently announced the date of this year’s national convention, to be held here in Adelaide in October. I plan to attend, with the hope of meeting some interesting people. 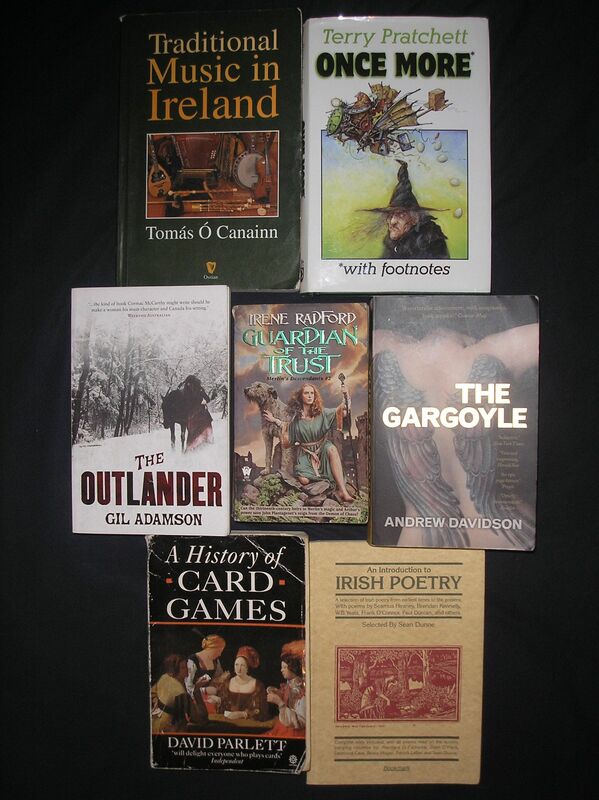 In the lead-up to this event, I thought I’d try to post a few items that would be of interest to skeptics. This is one of them. Whenever intelligible phrases are discernable in speech or music that’s played backwards, we know that those phrases must have been put there by the Devil and have supernatural significance. We also know that the Australian Skeptics are indisputably a Satanic bunch if ever there was one. Reflecting upon these facts, I wondered what we might find if we took audio material published by the Australian Skeptics and played it backwards. The Great Skeptic CD 2 (available on the Australian Skeptics’ website under “Shop”) contains, among other things, several poems by Jim Wilshire. The following is a list of phrases that can be discerned when these poems are played backwards. Audio files are included as proof. In the poem Predicted, the phrase “yeah, she’ll fake it” can be plainly heard. The mundane phrase to which this corresponds (i.e. the phrase heard if the poem is played forwards) is “to carefully shape meaning“. (The underlined bit is the bit that corresponds; the rest is provided for context.) This is my favourite result, because it must be a prophetic reference to an event in which the Skeptics investigate some unspecified female psychic. Either that or it’s a reference to Lynne Kelly. Here’s a blog post idea for you. 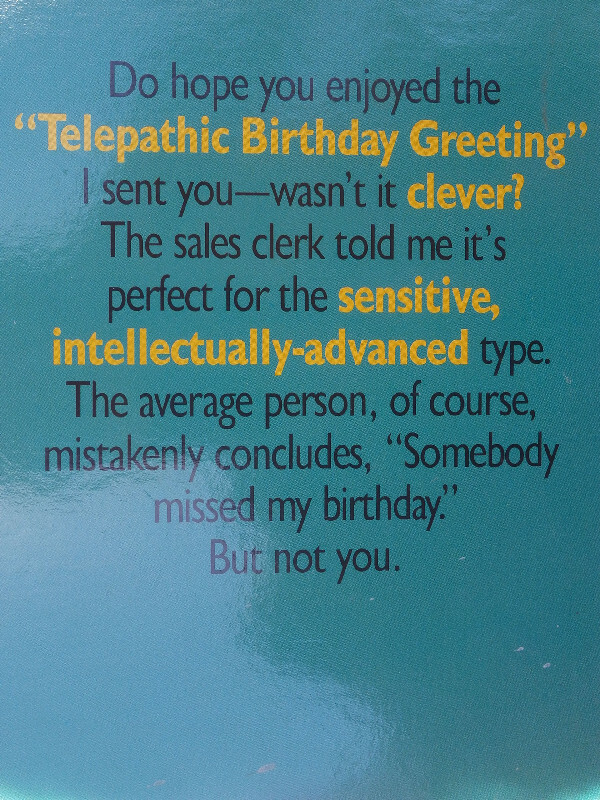 Look through the greeting cards that people have sent you over the years, and select one that most accurately captures your personality. Then share it with the world. 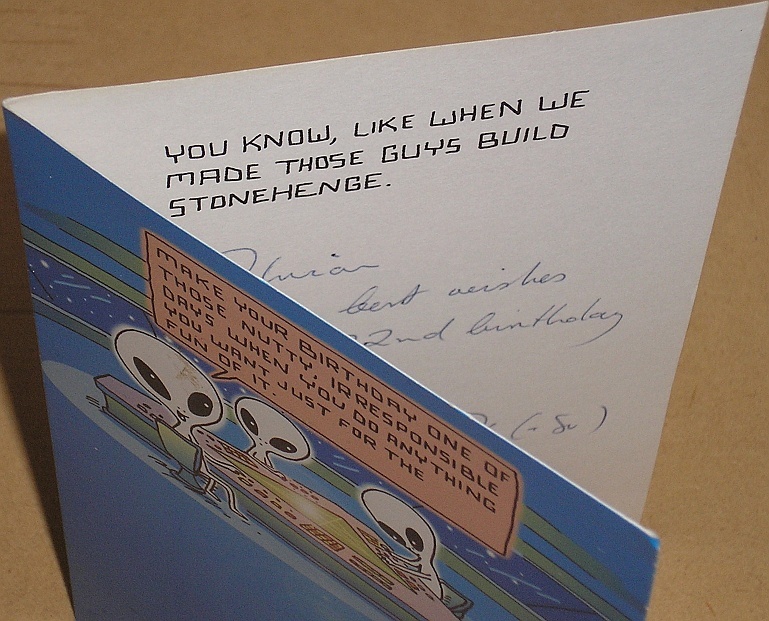 Another of my favourite birthday cards is below. Will eat pedants as long as they’re fresh. And be trusted in charge of a creche. Of course, creche doesn’t rhyme with flesh, and I have nothing in particular against pedants, but I love the overall sentiment. Although I’m no longer personally religious, that does not keep me from admiring authors who write well on topics of religion and spirituality. 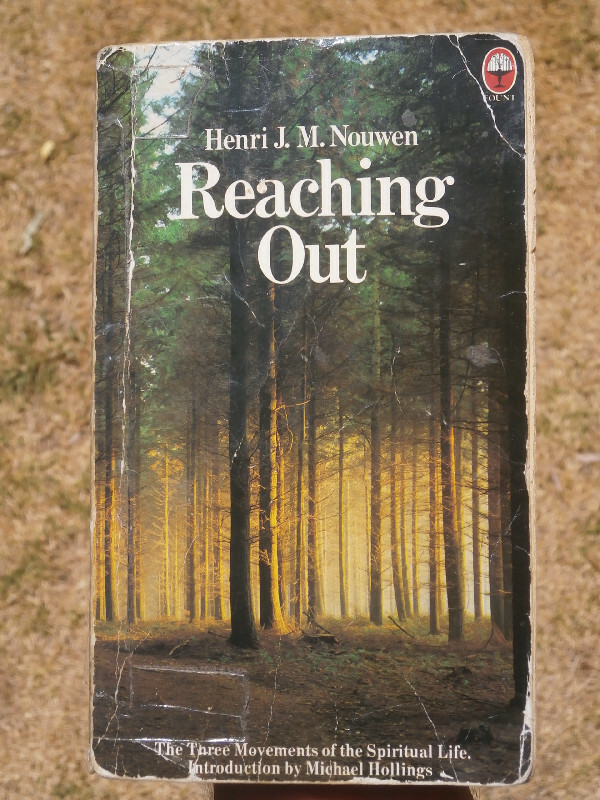 One of my favourites is Reaching Out by Henri J M Nouwen, which I have mentioned before. An assortment of quotations follows.